Newly elected Sen. Todd Young did support a student loan plan, but does it make college more expensive, as his former opponent Evan Bayh claimed? 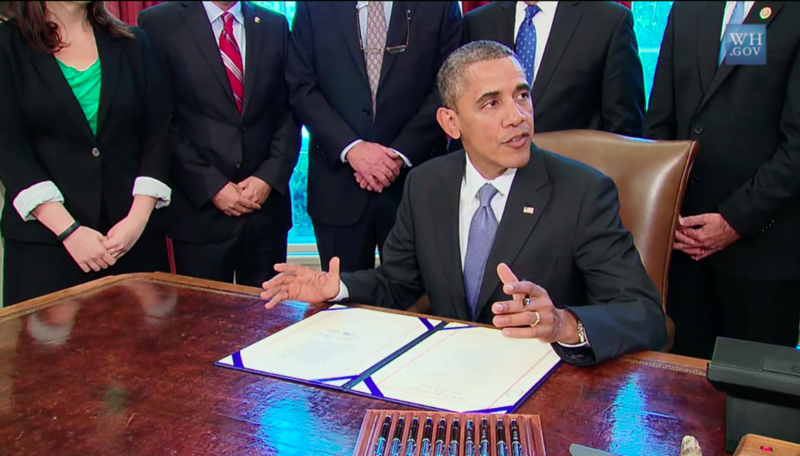 President Barack Obama signs the Bipartisan Student Loan Certainty Act on Aug. 9, 2013. Indiana Sen.-elect Todd Young was among those voting for the bill, which tied student loan rates to Treasury note yields. With student debt on the rise, the cost of higher education has become a prominent issue in the race for president and Congress, including in Indiana. In his campaign against Republican Rep. Todd Young, former Democratic Sen. Evan Bayh was hoping to reclaim the Senate seat he once held and that incumbent Republican Sen. Dan Coats is vacating. Bayh lost that bid. 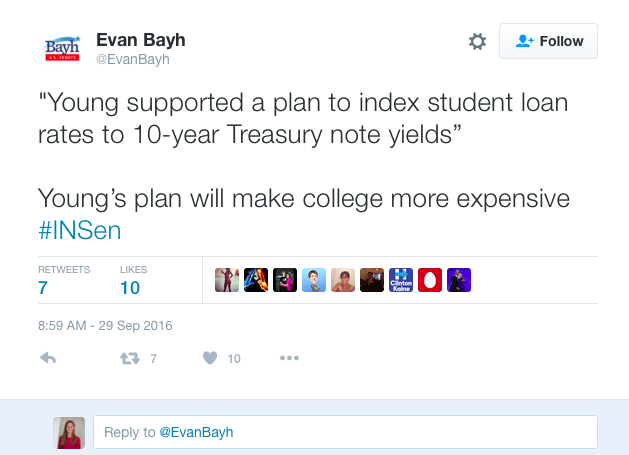 “Young supported a plan to index student loan rates to 10-year Treasury note yields.” Young’s plan will make college more expensive #INSen. Bayh’s charge about Young’s plan to index student loan rates to 10-year Treasury notes comes from a bill Young voted for in 2013 called the Bipartisan Student Loan Certainty Act, which President Barack Obama signed into law later that year. 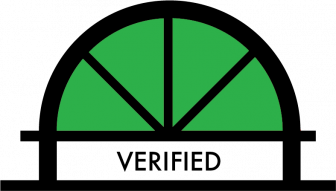 That Young voted for this plan is not in dispute, therefore The Observatory rates that part of the claim Verified. But does this law make college more expensive? The law ties the annual interest rate for undergraduate student loans to the rate of high-yield 10-year Treasury notes, plus 2.05 percent. The bill caps the rate for those loans at 8.25 percent. The current interest rate for federally backed student loans is 6.8 percent. If yields on Treasury notes remain at low rates, however, the cost of student loans could potentially decrease. (Currently, the T-bill rate is 2.15 percent.) The law also includes a fixed-rate provision so that interest costs would not increase at any point during the life of the loan. So, the law does not necessarily make college more expensive — and supporters including Obama argue it makes college cheaper. Therefore, The Observatory rates the second part of the claim as Unobservable. For context, Bayh’s campaign communications director Ben Ray wrote in an email to The Observatory on Oct. 6 that the tweet also was meant to refer more generally to other votes Young had cast that would have cut student aid and raised interest rates on student loans. In 2011, Young voted for H.R 1, the Paul Ryan budget plan, that, if it had passed, would have reduced funding for Pell grants for students by approximately $5.7 billion, or 24 percent, according to the Center on Budget and Policy Priorities. The cut would have affected all 9.4 million students who receive federal assistance to attend college, including 202,000 students from Indiana who would have lost $115 million. Republicans had argued that the cuts were necessary to ensure the program remained sustainable, reign in tuition increases and make sure only the truly needy received government help. But that bill did not pass. In 2012, Young voted for a 2013 budget proposal that would have doubled student loan rates. That would have cost the typical Indiana college borrower nearly $6,000 more in interest charges over 10 years, according to Bayh’s campaign. That measure also failed.